This photoshoot was all about being natural. When I make portraits of people, I try to see them through God's eyes. I look for not only who they think they are, but also their potential as God sees them. I don't see insecurities or "bad-sides," just a beautiful human, charming unique and full of potential. 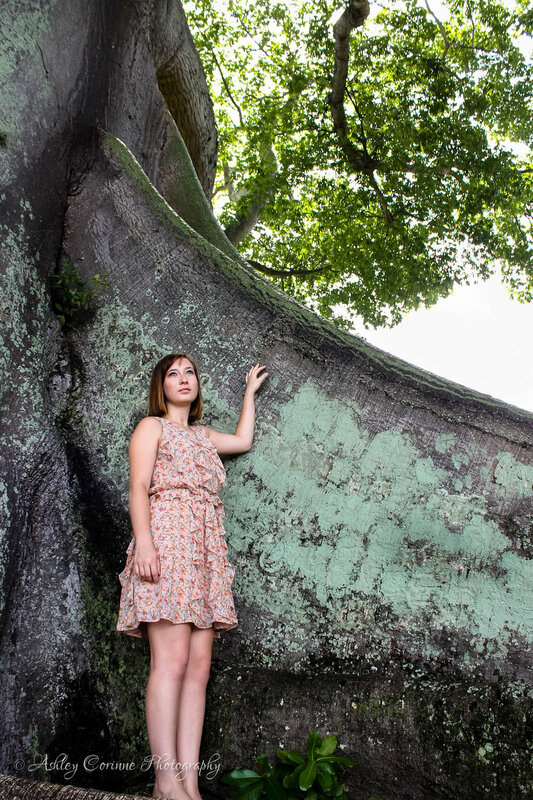 I love posing my clients in natural settings, the roots of the Big Tree by Royal Poinciana Chapel, or beneath a canopy of bougainvillea in a garden. It really brings me joy to see mankind flourishing in a natural environment and I was so pleased with the floral print dress that Casey wore to the shoot. 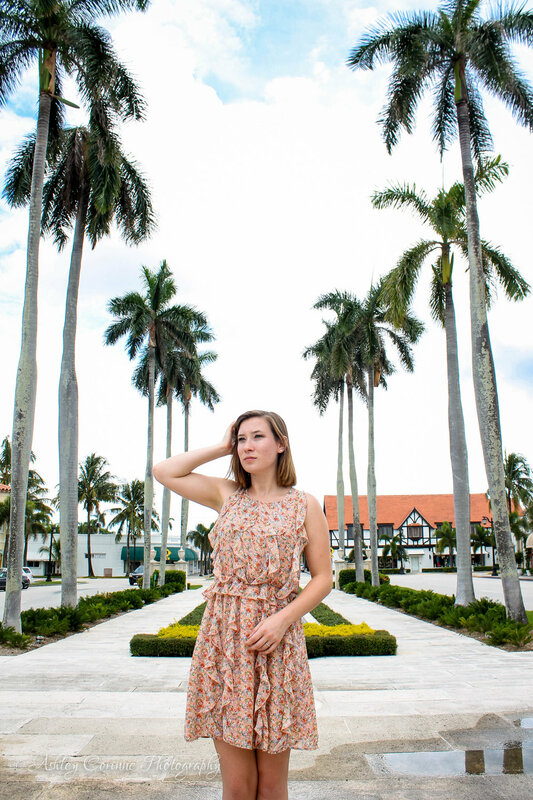 It was classic and flattering in nearly every environment, even the more urban setting of Downtown West Palm Beach, which you'll see at the end of the gallery. I love photographing Casey because she practically glows in front of the camera. Her skin always looks creamy and perfect, and her eyes have so much depth and story deep down inside, it makes every photo jump out and grab my attention. This shoot was just for fun, experimenting a little with my new reflector and testing out some new locations for future portrait sessions. I am so thankful for friends that let me exercise my creativity and spend all day posing for me.